The New York Times is pushing back against a Sunday morning Twitter storm by President Donald Trump. 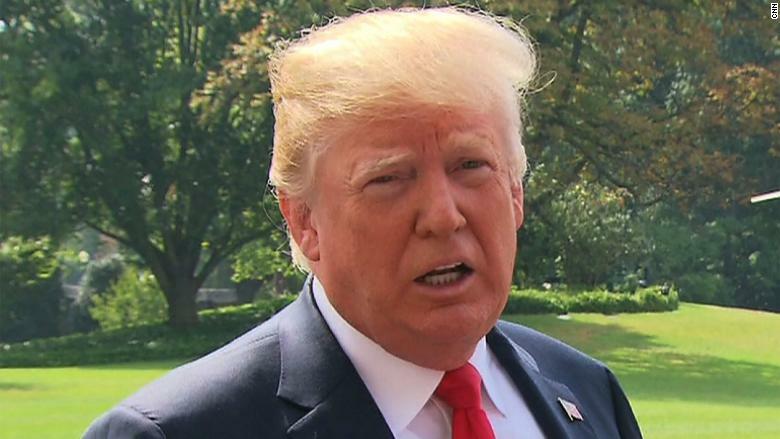 The president went on a tirade against the newspaper, condemning its article posted online Saturday that said White House counsel Don McGahn is cooperating “extensively” with the special counsel probe. Shortly after Trump’s criticism, the New York Times tweeted that it “stands behind the reporting of our Pulitzer-Prize winning reporters @nytmike and @maggieNYT.” The two reporters are often called out by the president because of their extensive and well-sourced White House reporting he sees as overly critical. The Times’ story says McGahn has provided information that the Mueller team otherwise would not have learned about, citing a dozen current and former White House officials and other individuals briefed on the matter. In his tweet, Trump again called the Times “failing,” but the newspaper actually reported a healthy second-quarter profit. Two years ago today, he also called the Times “failing” and “dying.” The Times’ stock is up nearly 77% since that tweet.